Email newsletter system setup for Hunt Club Leasing, a hunting land leasing website that connects landowners with hunters. 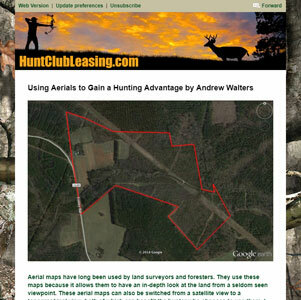 The newsletters help to reach out to potential hunters to advertise land that is available as well as attracting new land owners to the website. The robust statistics in the admin section allow the owner to see who is interested in which properties and can follow up on their activity.